City Union Bank Recruitment 2018 Faculty Posts,job location is in Chennai, Tamil Nadu. Interested and eligible candidates should apply Via Postal in official City Union Bank Recruitment website. Here we give the notification link for applying and how to apply City Union Bank Recruitment Jobs is given in the bottom of this page. 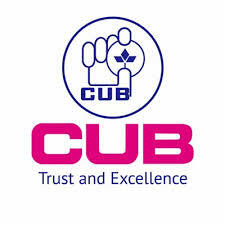 City Union Bank recruitment 2018, City Union Bank job notification, City Union Bank application form, CUI jobs in Chennai, central government jobs, Latest government jobs in Chennai, CUI job notification, Tamil Nadu bank Jobs, Bank jobs 2018, Latest jobs in City Union Bank. (A) Minimum 3 years as Faculty of the respective Bank’s Apex Staff Training College or any other Bankers Training Institute. This is applicable for both serving and retired Bank Executives. Kumbakonam– 612 001, Tamil Nadu.